WHERE DO I GO FOR MY CRIMINAL CASE IF I AM CHARGED BY SACRAMENTO COUNTY? Most of the criminal cases in Sacramento County are heard in one of two locations. First, is the main courthouse also known as the Gorden D. Schaber Sacramento County Courthouse. It is located at 720 9th St, Sacramento, CA 95814. Second, is the Sacramento County Jail, located at 651 I St, Sacramento, CA 95814. Defense Attorneys in Sacramento are familiar with the judges and prosecuting attorneys. Attorney Jason R. Holley attended law school in Sacramento and many of his colleagues currently work for the Sacramento County District Attorneys Office. If you would like to speak to a court clerk in the criminal division, their phone number is (916) 874-5744. You can search for your criminal case HERE. If you have the Xref booking number simply type the number into the spacr provided. You can also search by name. If you are having difficulty locating your criminal case, you may call our law office for assistance. WHERE DO I GO FOR MY FEDERAL CRIMINAL CASE IN SACRAMENTO? If you were charged with a Federal Crime and are now being prosecuted by the United States Attorneys Office your case will be heard in the United States District Court (aka Federal Court). The Federal Court is located at 501 I St # 4200, Sacramento, CA 95814. Attorney Robert M. Holley has practiced 47 years in the Sacramento Federal Court. It is important that you consult a Federal Criminal Attorney, like Robert M. Holley, if you are charged with a federal crime. You may contact the criminal division of the United States District Court at (916) 930-400. If you are cherged with a crime in Sacramento, contact an experienced criminal defense lawyer in Sacramento now. 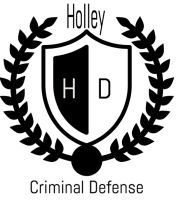 The criminal attorneys in the Holley Defense Law Offices live and went to law school in the Sacramento community and are very familiar with Sacramento Criminal Judges and District Attorneys. Call us now for a free consultation. (916) 956-2876.